All domestic orders are eligible for a return if a Return Request is completed within 5 days of receiving our product(s). If your request is approved; Ojai Olive Oil, Inc. will reimburse 100% of the total amount (excluding the price paid for shipping) back to the payment method used for your order. Approvals for returns vary based on the products in question, and the reason for the return request. 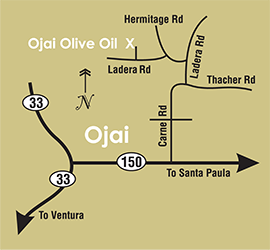 Ojai Olive Oil, Inc. currently does not accept partial returns on individual products. Orders shipped outside of the United States are not eligible for a return.